Hearty hospitality, central position, wellness oasis & more – ideal for active vacationers and gourmets! 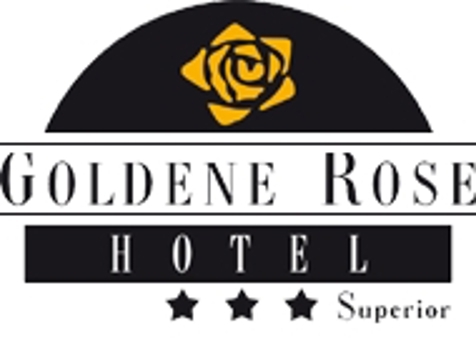 Welcome to Hotel Goldene Rose***s in Welsberg in Pustertal! Our Hotel Goldene Rose is an opportunity to spend a holiday with excellent cuisine, outdoor activities and relaxation. Our hotel nestles in the beautiful nature of the Dolomites, UNESCO World Natural Heritage, home of the world-famous Three Peaks and a popular tourist area. From Welsberg, you can reach the ski areas of Kronplatz and Hochpustertal within a few minutes, as well as many hiking tours in the nature park Fanes-Sennes-Prags or visit one of the many romantic lakes in the area, for instance in Toblach. 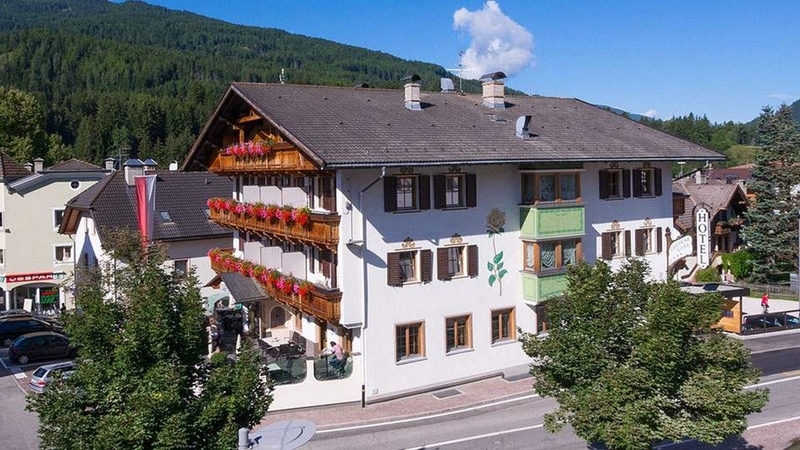 Our hotel will welcome you with courteous service and typical South Tyrolean hospitality in its comfortable 25 rooms. The rooms in the main building have new bathrooms. For our guests there is waiting also a spacious new wellness area with Turkish steam bath, Finnish sauna and infrared cabin, whirlpool and different showers. Double room with 23 m² , balcony due east or west, shower and toilet, bidet, toilet requisites, hair dryer, direct selection telephone, safe, Sat-TV, refrigerator and free wifi internet connection. The room is available with twin beds. Double room with 26 - 32 m² ,with studio couch and balcony due east, shower, bidet and toilet, toilet requisites, hair dryer, direct selection telephone, safe, refrigerator, Sat-TV and free wifi internet connection. Double ot three bed room with 25 m² , double bed (and single bed), balcony due west, shower, bidet and toilet, toilet requisites, hair dryer, direct selection telephone, safe, Sat-TV and free wifi internet connection. Family room with 28 m² , double bed and bunk bed, balcony due west, shower, bidet and toilet, toilet requisites, hair dryer, direct selection telephone, refrigerator, safe, Sat-TV and free wifi internet connection. Double room with 21 - 25 m² , southbound balcony , shower, bidet and toilet, toilet requisites, hair dryer, direct selection telephone, safe, Sat-TV and free wifi internet connection. Room with 23 m² , balcony due east, shower and toilet, toilet requisites, hair dryer, direct selection telephone, safe, Sat-TV and free wifi internet connection. Family-Suite in the attic with 44 m² with two double bed rooms, balcony due west, shower, bath, bidet and two toilets, toilet requisites, hair dryer, direct selection telephone, safe, Sat-TV and free wifi internet connection. Room in the attic of 19 - 26 m² , east balcony, shower, bidet and toilet, toilet requisites, hairdryer, direct selection telephone, safe, satellite TV, refrigerator and free wifi internet connection. Room of 21 - 25 m² , west balcony, shower, bidet and toilet, toilet requisites, hairdryer, direct selection telephone, safe, satellite TV, refrigerator and free wifi internet connection. Room of 24 m² , east balcony, shower, bidet and toilet, toilet requisites, hairdryer, direct selection telephone, safe, satelliteTV, refrigerator and free wifi internet connection. Room of 20 - 25 m² , balcony , shower, partly with bidet, toilet, toilet requisites, hairdryer, direct selection telephone, safe, satellite TV, refrigerator and free wifi internet connection. Double room with 21 - 25 m² , balcony , shower, bidet and toilet, toilet requisites, hair dryer, direct selection telephone, safe, Sat-TV and free wifi internet connection.